I am reminded each day of the importance of family time and how the unconditional love that is shared makes a major impact on our lives. I have a very close family and we cherish the time we spend together. I want to share with you a story about my niece Sofi who unfortunately passed away at age 16 in 2017. I created the Special Angels Category in honor of her when I started Tribute almost 8 years ago and it has been something so special and inspirational. She was a special needs child and had a life that was very different from her sisters. There is no answer as to why some children are born with disabilities but we all have to believe that there is a plan for each and every one of them. Sofi was an amazing young lady and she was a bright light in our family which will continue to shine forever. In spending time with Sofi, I was reminded of performances that I have seen with children who have special needs. I will never forget the joy these children felt to be able to perform on stage. The encouragement and support that everyone gave was a very touching moment that I will remember forever. From day one I wanted to find a way to honor my niece and children who have special needs. I have a category called“Special Angels”. We all know of children who might have Down Syndrome, Autism,Muscular Dystrophy, Cerebral Palsy and other Developmental Disabilities or might even be confined to a wheel chair. 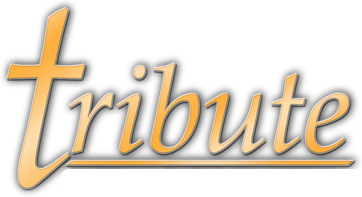 So I invite each studio in attendance to enter an additional group number that consists of special needs children to perform at any Tribute Event. There will be no entry fee for this number and I would ask that those who would like to register a performance in this category to please contact me personally so I can help you with the entry process. Each dancer that performs in our Special Angels category will receive a personalized award with their names on them to remember their performance and achievement. If you have any questions regarding this category please let me know and I will be more than happy to assist you. I hope that we have the opportunity to see even more “Special Angels” at Tribute National Talent in the seasons ahead. Tribute is not just a competition. We also provide a moment to share the love and respect of family with others.